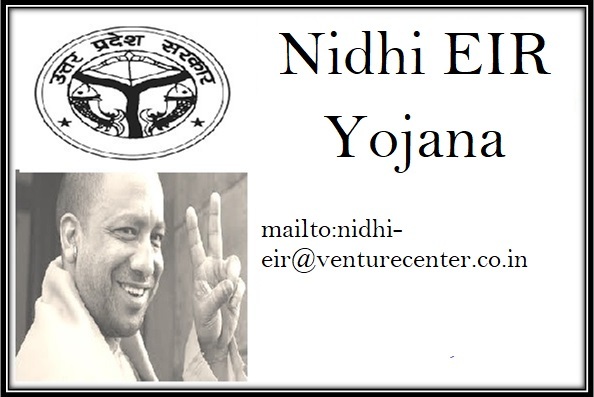 The full form of NIDHI EIR is National Initiative for Developing and Harnessing Innovation Entrepreneur in Residency. Engineering is a lucrative field but the education is very expensive as well. Most students who belong to the middle class families find it difficult to gather the money to pay for the engineering fee. For the assistance of engineering students who are meritorious, the state government of UP has implemented the scheme NIDHI EIR Yojana. Motivating engineering institutes and deserving candidates – The main aim of the scheme is to provide the engineering students and the engineering institutes with financial assistance. With the money they acquire, the institutes and students will get the boost to work on the research and developmental activities. Cash reward for the pupils – The selected engineering candidates, will be given a cash reward of Rs. 20, 000 to Rs. 30, 000 on a monthly basis if they have a good idea. Span of money reward – The state government will provide the students with the cash reward for a time span of 12 months. Collateral free credit – All the candidates who have been selected to get the grant under the NIDHI EIR Yojana will stand a chance to get credit for better implementation of their ideas. The credit will be provided to them without any collateral. Number of beneficiaries – As of now, the CM has given 11 selected students from state engineering colleges have been provided with financial assistance. Each of these 11 candidates has been given a check so that they can fund their research and come up with a plan to implement it in the form of a business. Assistance for innovative ideas – Only those candidates will be given the financial assistance, who are working on perfecting an idea that is unique in nature. The project must be innovative. Checking the viability of the idea in all parts of the country – Before granting the financial assistance, the candidates will have to submit the rough plan of the project. If respective government department will check the viability of the project and whether it can be changed into a lucrative business or not. Not for profit – The money will be offered strictly for non-profit based internships. Any applicant, who desires to use the benefits otherwise, will be barred from the program. Potential for growth – Only those applications will be accepted, which possess potential for development in future. Suggest business idea – It is the responsibility of the candidates to come up with innovative business ideas. The business idea must fit in the given format. Full-time entrepreneur – Only those applicants, who desire to invest their time fully to this internship, will be receive the benefits of the program. Not associated with another company – It is mandatory for all applicants to submit proof that they are in no way associated with any other organization, and attain any sort of financial remuneration from the agencies. Must involve technology – It is essential for all candidates to know that their business plan must have some association with the use of technology. Must have financial aspirations – Only those people will be able to apply and attain the grant if their business idea has the potential to create financial profit in the long run. This program is not for funding short-term projects. Individual investment layout – If the interested candidates cannot submit a sound investment plan, then they will not be able to get the benefits. Grant for a specific time – It is important for all beneficiaries to remember that they will only receive financial assistance under this program, till they do not manage any viable investment for their venture. If the individual has completed collecting necessary funds, then he/she will no longer get the grant. How to attain application form and apply for the program? All such candidates, who desire to attain the grant and start their own business, will have to apply by filling in an application form. The application process will be done via the program’s portal. Applicants need to fill in a digitized form with their details for registration. Then they will have to log in officially and fill in other program related documents online. To attain the registration form, candidates have to click on the link http://www.nidhi-eir.in/nidhieir/eligibility.php. After filling in all fields, they have to click in the box that is placed alongside the comment “I’m not a robot.” This has to be followed by clicking on the “Check!” link. It has already been mentioned that the implementation of the scheme has been done for the progress of the engineering students. It is not for all candidates but only those who will be able to prove their merit with the development of a unique idea, related with their field. The candidates will have to log on to the official website of the schema and fill the application form. The application form must be filled in with the personal details, academic details and the project related information. The selection of the project will be done by officials of the Innovation & Entrepreneurship division. Once the selection has been done, the candidates will be given the monthly grant by the state authority. As the implementation of the scheme has just been implemented, the details of the registration process will be declared in by and by. The details of the scheme has been highlighted on the official website. The portal can be reached by clicking on the link www.nidhi-eir.in. Clicking on the appropriate links from this page will provide the interested candidates with the eligibility criteria and registration related information. By implementing this scheme, the state will be able to ensure that the young and deserving candidates get the support they require for putting their invention or business plan to the test. The engineering candidates will get the much-needed encouragement for going ahead with their plans.